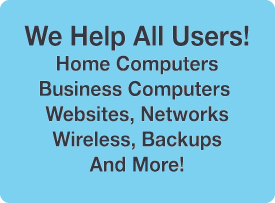 We offer help to both business and home users! Regardless of whether you are a home user with one personal computer or a business with multiple locations and an elaborate virtual private network, The HelpDesk has qualified technicians ready to assist. For 17 years, The HelpDesk LLC has helped hundreds of clients with their computer networking needs. We provide on-site service for client needs throughout the Lansing, Michigan area. Just a few of our services include: home and business computer network support, web hosting, internet connectivity, virus-removal, data protection, computer data backup, website design and development, and e-commerce applications. The HelpDesk LLC also offers some of the finest web hosting services around. Be sure to ask about our web hosting. We invite you to take a quick tour of our website. If you can't find what you are looking for, be sure to call us at 855-336-3142. The depth of technical knowledge at The HelpDesk LLC is great! They have always been able to handle every problem we throw at them. It doesn't matter if it's software development, phones, website, computers, internet or very complex issues. They're always able to solve the problems. We are also thankful for their response time. It is the best in the business! The HelpDesk LLC have been our "go-to" computer people for as long as I can remember. We have complete confidence that they will always do what is best for us. They are always very quick to respond to whatever type of question we have. They make us feel as though "no question is a dumb question." I have recommended The HelpDesk LLC to many people throughout the years and each and everyone of them have always been 100% satisfied, just as my husband and I have been. Whenever we have questions, The HelpDesk is very responsive, responsible and professional. They have supported our computers and technical needs both in the work setting and at home. We are impressed with their level of knowledge and technical skill sets. The HelpDesk LLC has been wonderful to work with. They have lots of knowledge and have always helped us solve every single problem. They are patient and easy to work with and I have referred lots of my friends to them. 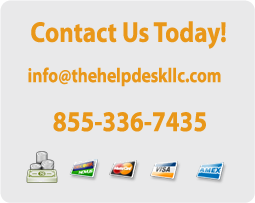 I have used The HelpDesk LLC for as long as I can remember, for at least 10-15 years. 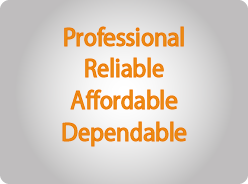 They are always available, quite reliable and certainly dependable. They always make me feel very comfortable when I ask questions. I've never had a problem that they couldn't solve. I highly recommend them! The services we receive from The Help Deck, LLC are top notch. As a business we never want to worry about interrupted service and thanks to The Help Desk that is never an issue. The HelpDesk team does an outstanding job making sure the needs of our business are met. I would recommend them for all your technology needs. Be sure to visit www.DDoSSupport.Com for secure and DDoS protected website hosting. Holt, Charlotte, Mason, Williamston, St. Johns, Mid-Michigan, Delta, Waverly, Meridian, Ingham, Clinton	and Eaton Counties. Copyright © 1994 - 2019 The HelpDesk LLC. All rights reserved.